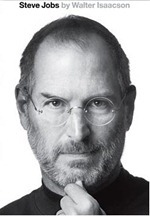 The big guys of magazine and news industries got early access to Walter Isaacson’s biography of Steve Jobs. This book goes on sale early Monday, 24th October and millions have pre-ordered the book to know about Tech Pope. Many of them who got early access to the book has already read it completely and started revealing the secrets of Steve’s life and they are very fascinating. Steve was aware of the fact that he is going to die young so he made the best of every breath of his life. Initially Steve refused to take go through medical surgery to get rid of his pancreas cancer and depended on herbs and vegetarian diet. But later when he found that he is not in right direction, he started reading about Cancer and became an expert of medicine that deals cancer. Google was in partnership with Apple and they worked very close on many products including the iPhone. When Google started developing Android OS by ripping off the iPhone features, Steve Jobs literally pissed off and decided to go any extent against Android OS.